Plenty of Fish in the Sea: Two Barrels of Fun, the fourth piece of an eight-piece figurative Art for Children mixed media series is an open invitation issued to children to become the artist and co-creator of the artwork instead of simply observing the art. A perfect vehicle to ignite children's imagination and hold it in a tenacious yet intimate grip by helping create an interactive space for children, encouraging children to add on to the visual story via coloring, drawing and painting directly ON the artwork. The series is available on canvas, metal, fine art paper and much more. While this piece is perfectly suitable for a framed stand alone piece, my intention is for it to be printed jointly with the other works in the series because the "story" evolves and gets more nuanced from one work to the next much like a fairy tale. 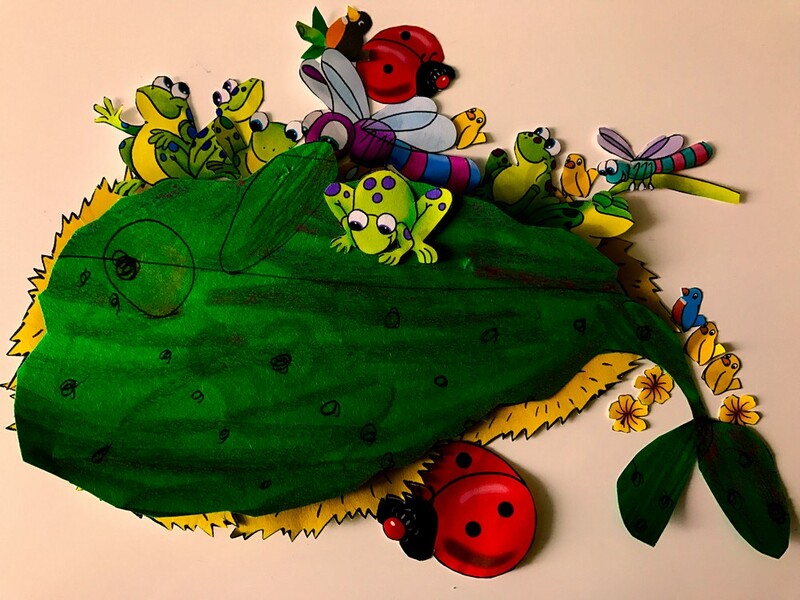 Each image uses the same main character over and over opting to play dress up with this little fish which is decked in different colors each time in order to familiarize children with the notion of diversity. Because of the variety of printing options ranging from printing on metal to framed canvas and even wall decals it is guaranteed that no one else in the world will have your specific piece of art. It will be a singular authentic reflection of your child's personality.